A designated adoption is an adoption in which the birth mother locates an adoptive family on her own, without the resources of Adoption Covenant. Sometimes this is also called an identified adoption. The birth mother and prospective adoptive family might come into contact through an out-of-state adoption agency, out-of-state attorney, facilitator, or word of mouth. In these cases, you must use a licensed adoption agency in Texas if the birth mother resides in Texas and she needs financial assistance. 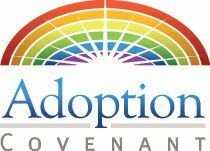 Adoption Covenant is licensed in Texas and we serve as a facilitator during the adoption process providing a variety of needed services to birth mothers and prospective adoptive families. Adoption Covenant is experienced in offering home studies, placement, and legal services. We also provide counseling to birth mothers and they may also receive assistance with reasonable living expenses, medical expenses, and legal expenses. Our Executive Director, Merinda Condra, is a licensed attorney and she conducts the necessary legal work to terminate parental rights and finalize your adoption, if needed. Because the birth mother and prospective adoptive family find each other without the help of Adoption Covenant, the traditional agency fees are discounted significantly for designated adoptions. In some cases, the cost could be as low as $7,000. The fees will be determined based on the services provided and could fluctuate depending on whether the birth mother has insurance, whether the birth father is cooperative, and the amount of counseling and financial assistance needed. Please contact us for more information and an estimate of the costs of designated adoption.